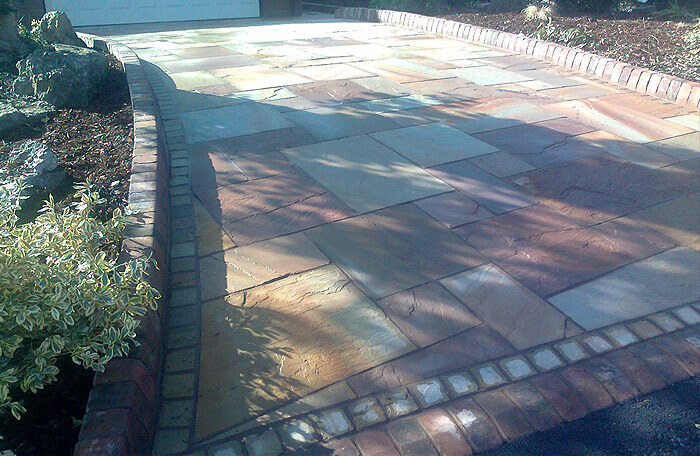 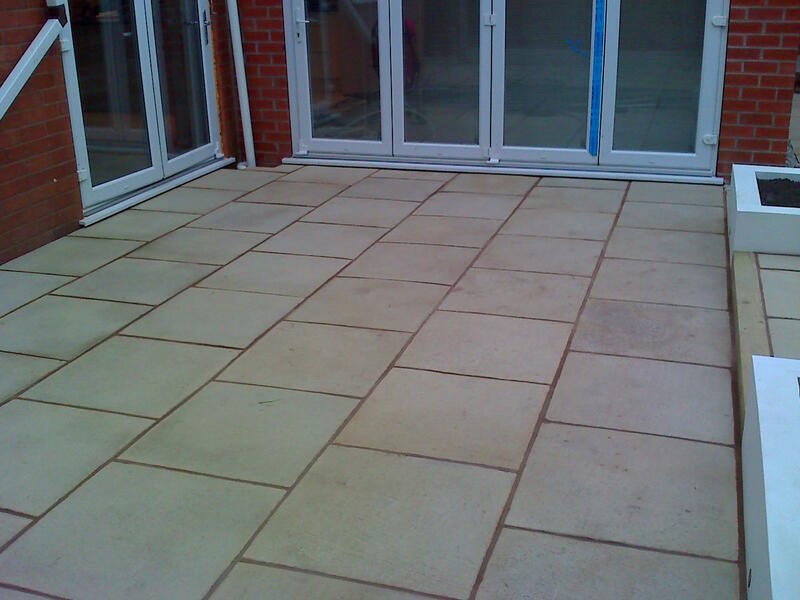 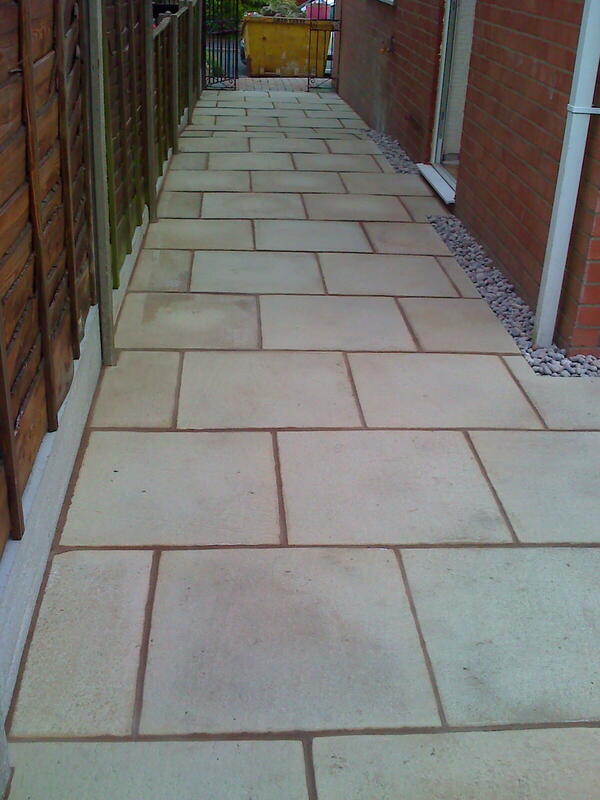 Walk out directly onto the patio built from Marshalls Firedstone paving in Fired York. 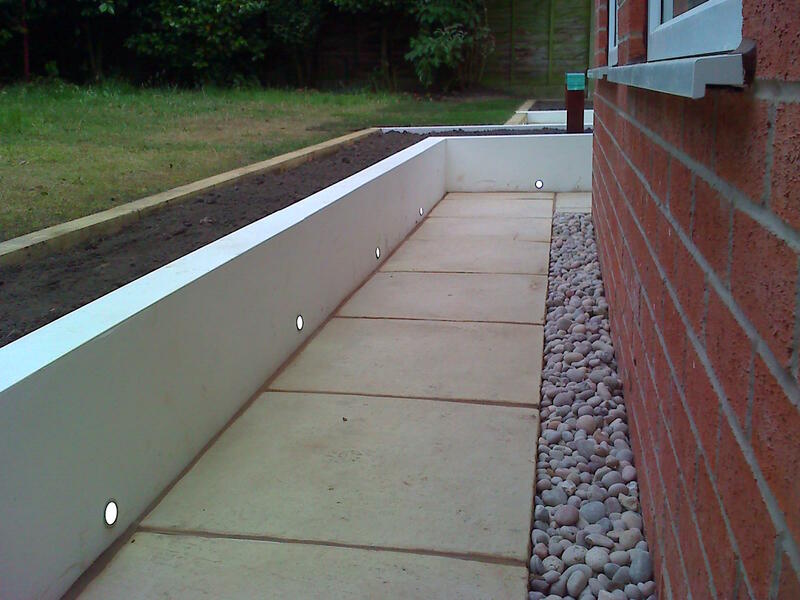 Rendered block walls painted white with lighting gives a modern feel. 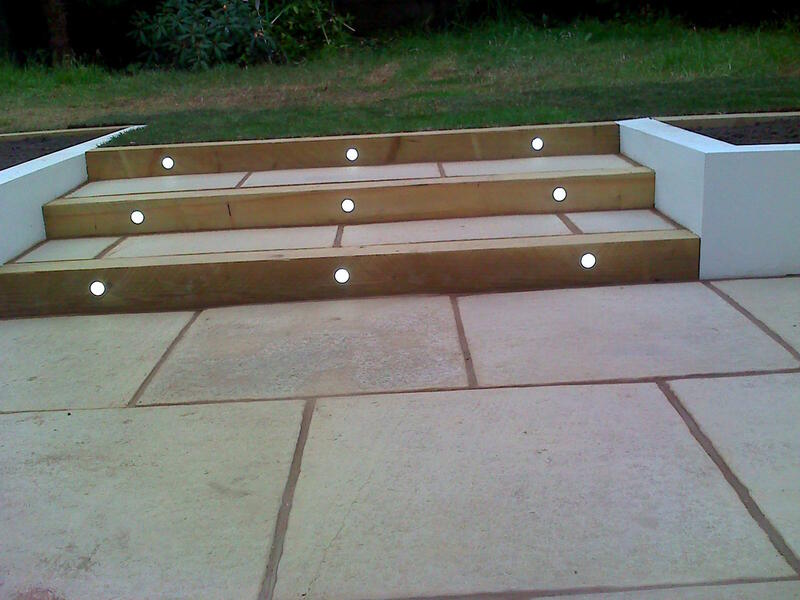 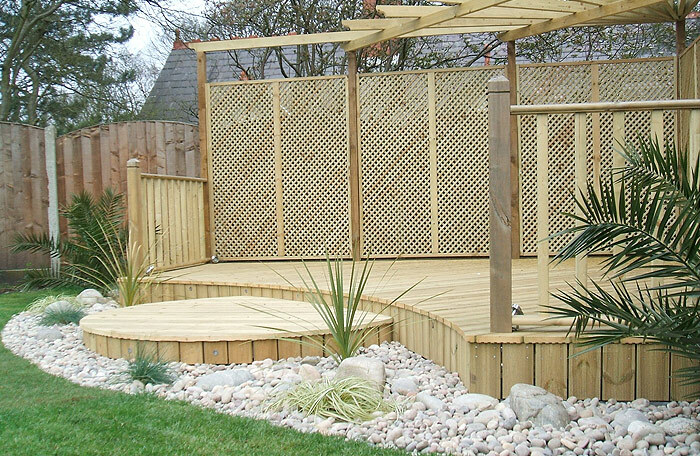 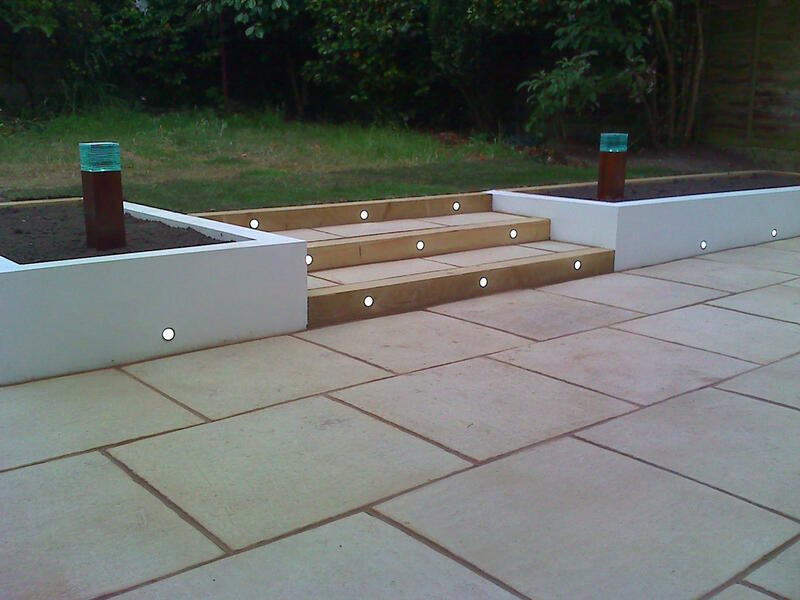 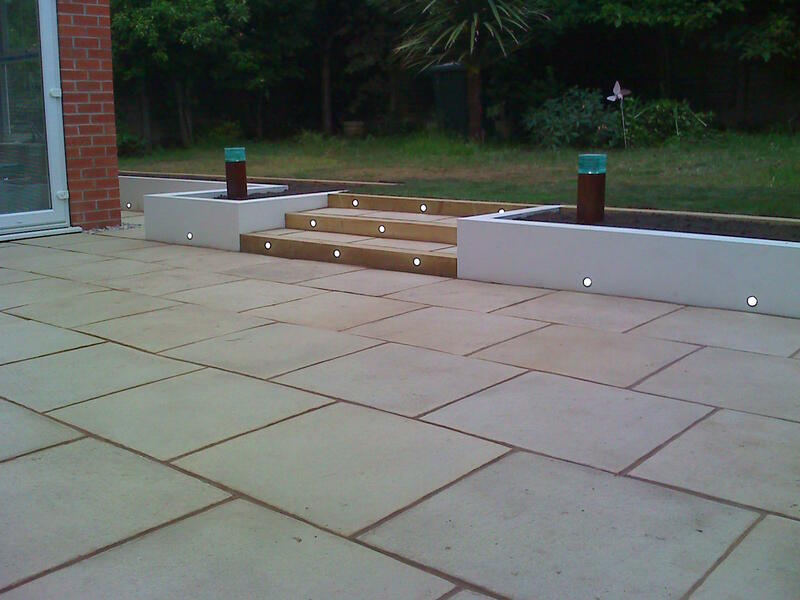 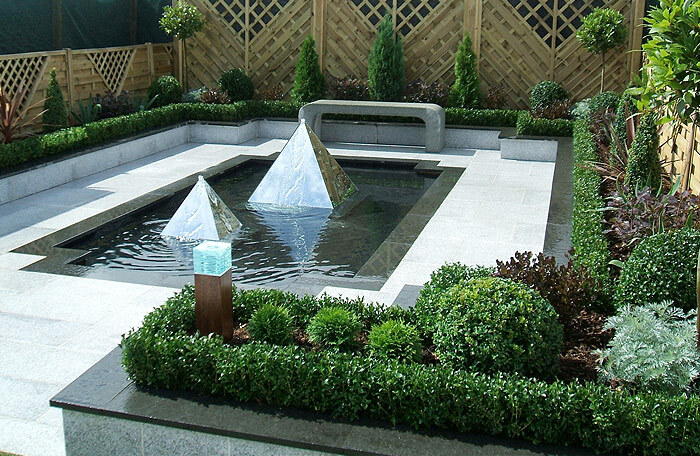 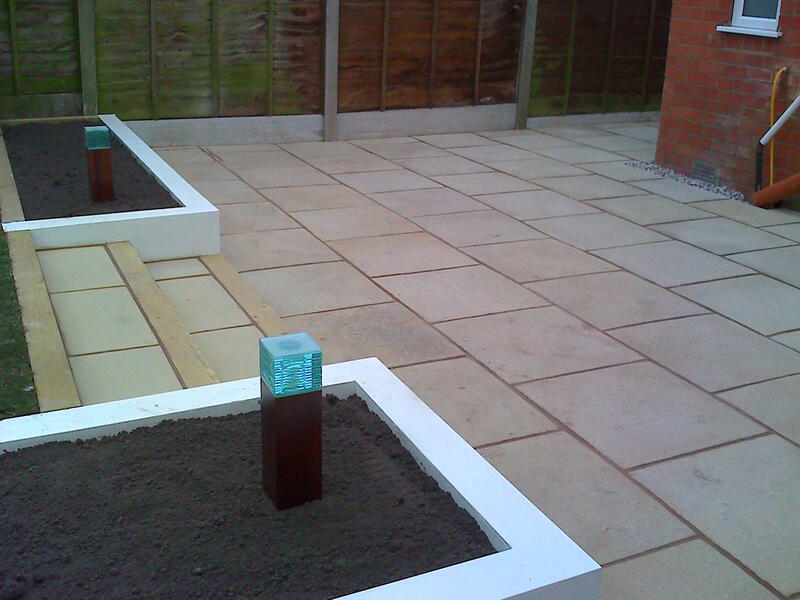 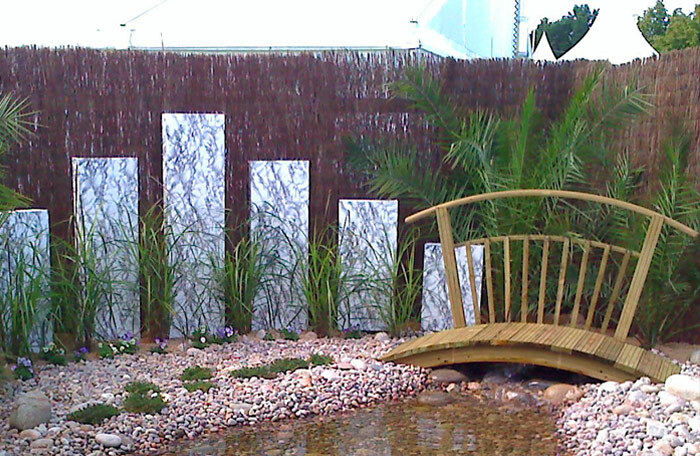 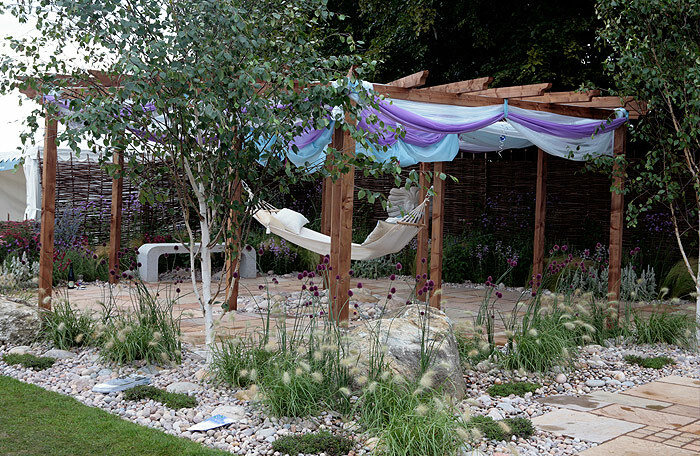 Steps risers from sleepers gives an unusual contrasting feel. 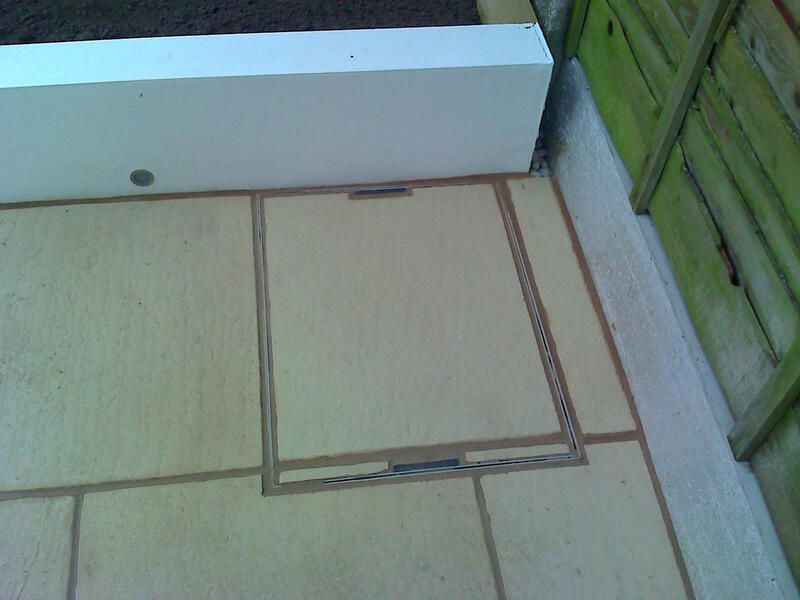 Beautiful cutting in on manhole makes it nearly invisible.